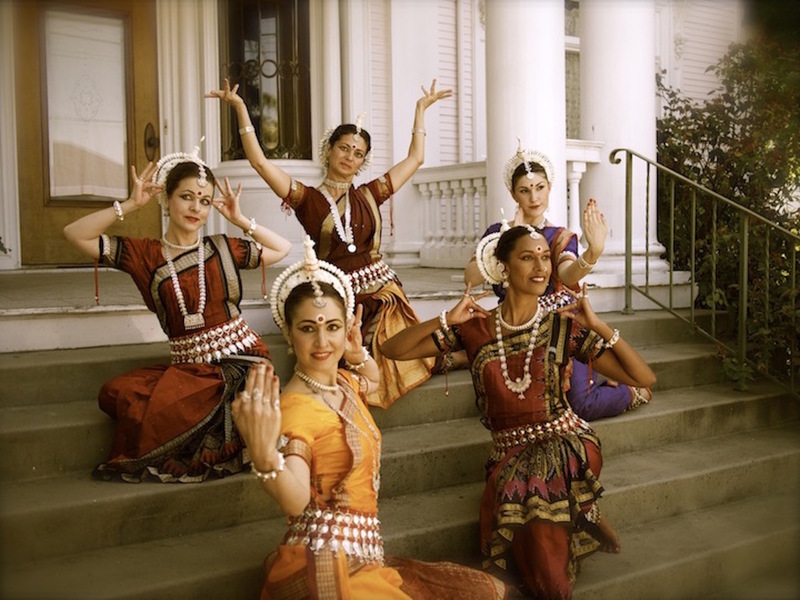 Shakti Bhakti Ensemble is a Santa Cruz based dance company dedicated to the exposition of Odissi Classical Indian Dance. 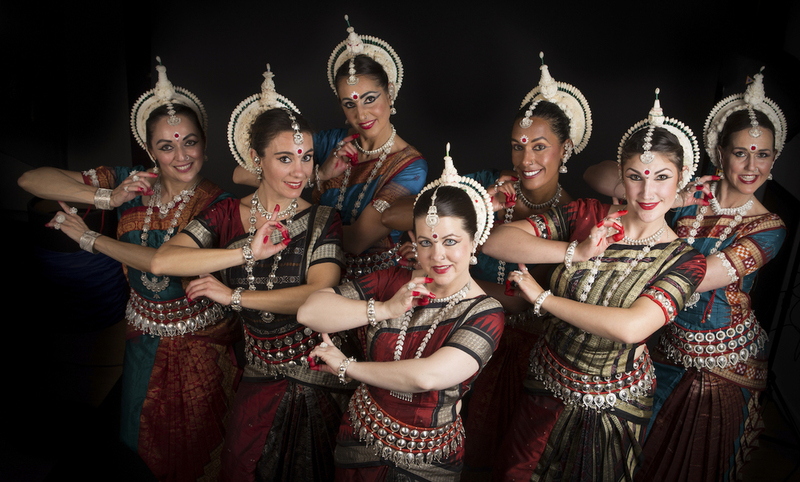 Shakti Bhakti dancers are passionate about sharing the ancient art of Odissi Dance with audiences around the world. Revital Carroll, founder and artistic director, had studied Odissi Dance with some of India’s most eminent dance gurus; Gangadhar Pradhan, Bichitrannada Swain, Sujata Mohapatra, and Ratikant Mohapatra, to name a few. She teaches and performs world wide, and continues her studies under Niharika Mohanty of Guru Shradha. Revital Carroll is an internationally acclaimed performer and teacher of Classical Indian Dance. She is the founder of Shakti Bhakti School of Dance, author of Mudras of India and the Mudras of Indian Dance Card Deck, and creator of three instructional DVDs: Temple Goddess Workout, Odissi Dance Foundations, and Odissi Dance Spins and Choreography. She studied traditional Odissi Dance in Odisha, India with some of the most eminent dance gurus on the subcontinent. Revital draws her inspiration from the elements of nature, the wisdom of her own body, and the rich spiritual heritage of India. 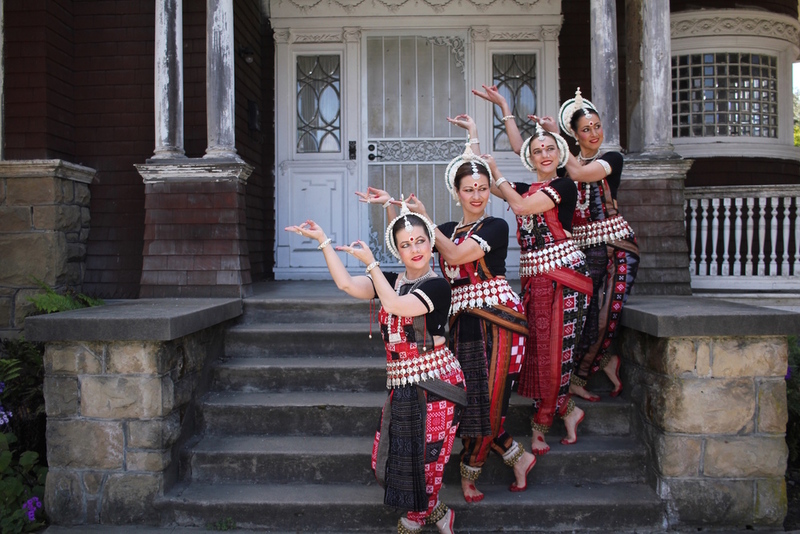 She lives in Northern California, and offers Odissi Dance workshops and performances worldwide. Cheryl Thompson has learned theatrical and trance mask dances of Indonesia, Tribal Bellydance, Ballet, Jazz, Cheerleading and Bollywood. About three years ago, she found the divine Revital Carroll. The intricacy, ancient roots, sublime aesthetics, grace and strength of Odissi captured Cheryl’s heart. She has been a devoted student ever since. 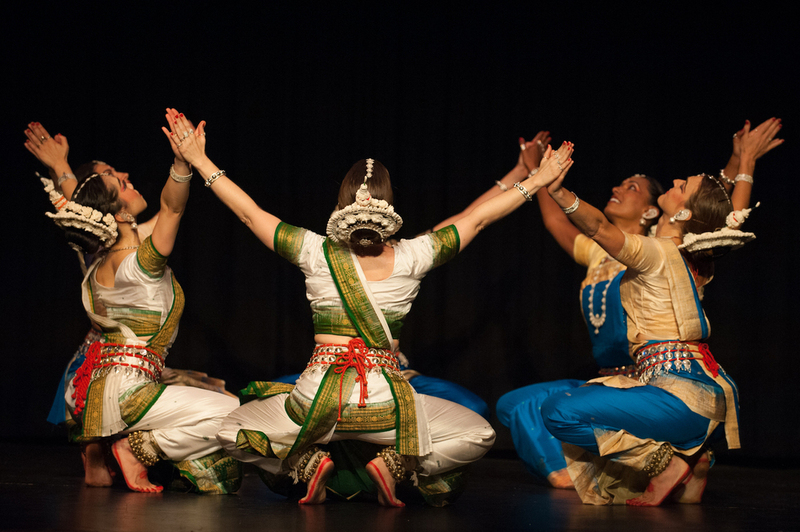 CHeryl is grateful to have had numerous opportunities to share this devotional dance form; some highlights were at the Sarega Dance Festival in Orissa, India, The Santa Cruz Fringe Fest, and at Tandy Beal’s Dance Around the World at UCSC. Carmela Woll is a dancer and attorney from Santa Cruz, California. After years as a Hip Hop Dancer, she began studying Odissi in 2011. She is honored to be a part of Shakti Bhakti Ensemble and to be under the tutelage of Revital Carroll. 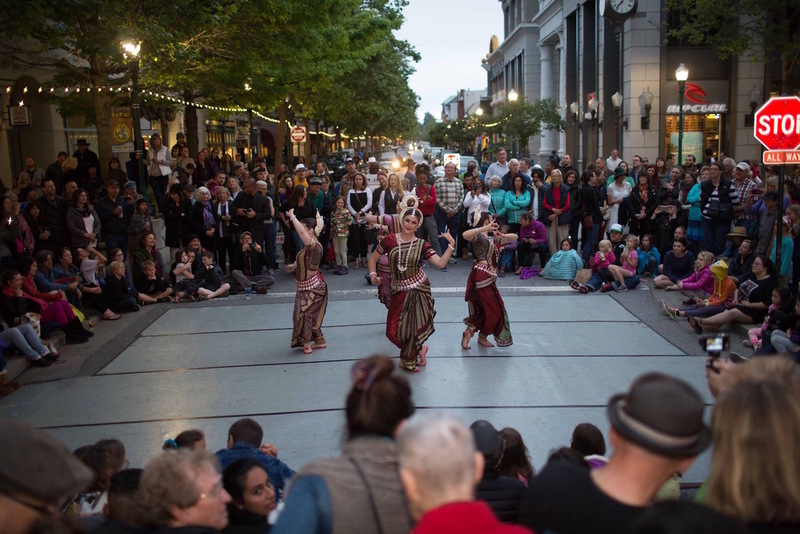 Highlights of her Odissi performances include: Sarega Dance Festival in Orissa, India; Tandy Beal’s “ArtSmart – Magic Carpet” at the Mello Center in Watsonville; and Dancing in the Streets/National Dance Week Santa Cruz. Caitlin Hanna works as an archaeologist in Santa Cruz and lives in a happy old house with a big cranky orange cat (whom she loves). She first met Revital while studying Anthropology at the university. After some tropical adventuring, she came back to Odissi in 2013 with a new sense of passion and bodily intelligence. She sees Odissi as a delightful technology of transformation: Through practice she experiences the balance of masculine and feminine, form and flow, power and grace. Dara Daniels lifelong love of yoga, dance, and Eastern spirituality finally brought her to India in 2010 where she began her studies in the Odissi style of classical Indian dance. Since then she had the blessing of continuing her training in Ashland, Oregon until she re-met her teacher, Revital Carroll during August of 2013. The joy and connection she instantly felt dancing with Shakti Bhakti Ensemble inspired her recent move to Santa Cruz where she is also pursuing her other passions of teaching yoga and practicing holistic massage and bodywork. Michelle lives life as a Sacred Dance, connecting to the Divine through heartfelt expressions. With a playful and loving heart, she have danced all types of dance forms, with most of her background in belly dance. 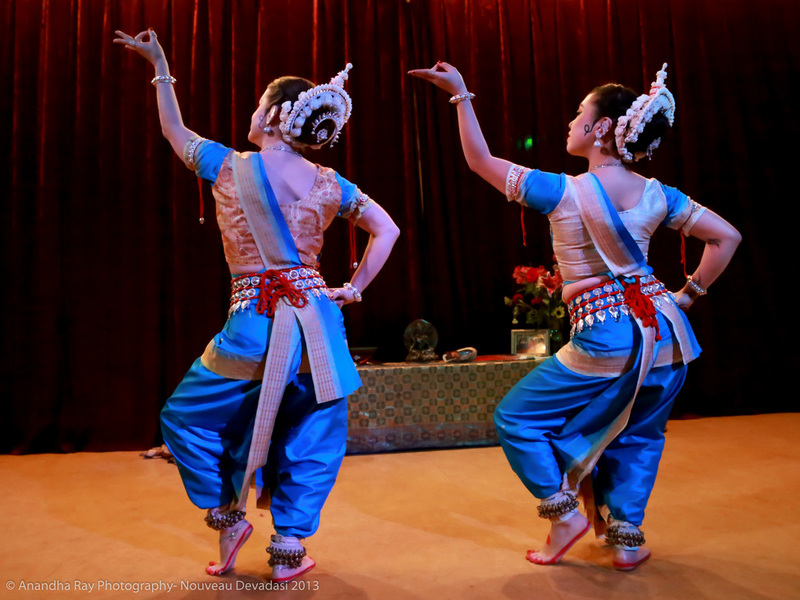 Michelle was introduced to Odissi dance through a Temple Tribal Fusion workshop, December 2014. This workshop lead her to find Revital and Shakti Bhakti Ensemble. Michelle is delighted to be learning this art form and honored to be apart of SBE! Prajna Vieira is a vocalist, composer, multi-instrumentalist, dancer, and yoga teacher, best known as lead singer of the acclaimed kirtan ensemble “Mukti,” and for her work with world music pioneer Jai Uttal. She began practicing kirtan at age five, and today she leads kirtans all over the west coast. 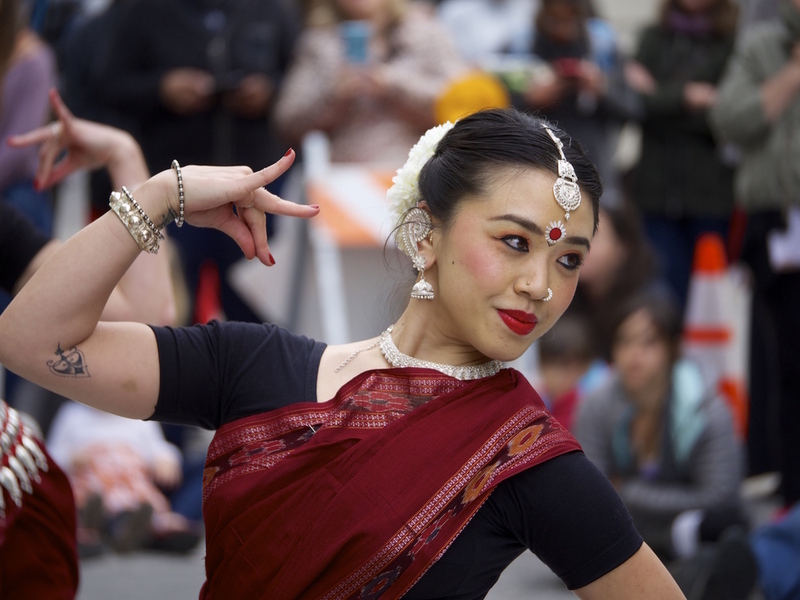 Prajna has had a prestigious career as a Ballet dancer in her youth as well, and she is thrilled to return to dance, this time merging her devotion to Jaganath with her love of dance. Prajna’s mission is to lovingly bridge the traditional, cultural roots of Bhakti Yoga with the soulful flavor of modern expression. Rakel's dance journey started very early in life with Ballet. Through the years she has learned many styles of dance including Modern, Lyrical, Tap, Jazz, Hip Hop and Bellydance. She also has some years of asana practice under her belt. After the loss of her father in mid-2017 she was searching for a way to cope with grief and was told about Revital Carroll by one of her students. She joined her class the very next day and hasn’t stopped since. The physical, mental and spiritual effort required to maintain this beautiful practice is what keeps her coming back; attempting to attain one-pointed focus through artistic motion. At age 13, when Noëlle offered a devotional dance within a church ceremony, she experienced for the first time the marriage of her two great life loves -- Dance and Spirituality. Deeply impressed by the beauty and aliveness of Sacred dance, she continued to respond over the next 30 years to invitations to offer her solo and group sacred dance for holy days, weddings, funerals, rites of passage and sacred ritual performance in a variety of settings and spirituals traditions. Feeling drawn for many years to the Temple Dancers of the East, she is thrilled to have now met her teacher Revital and to study and perform Odissi in the good company of other devotional dancers. Morphing her loves of Dance into “body” and Spirituality into “healing", she maintains a private practice in Menlo Park of somatic therapy and facilitates classes in Embodied Awareness and Sacred Dance. 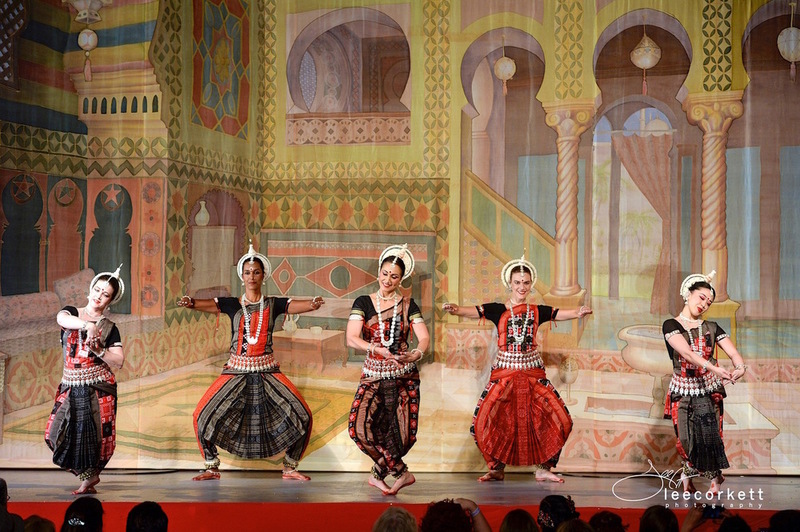 Shauna discovered Odissi in 2009 at a workshops series taught by Revital Carroll. After a second workshop series in 2010, Shauna moved to Santa Cruz to study regularly with Revital. Through Odissi, Shauna experiences great enrichment, fulfillment, satisfaction, and self growth. 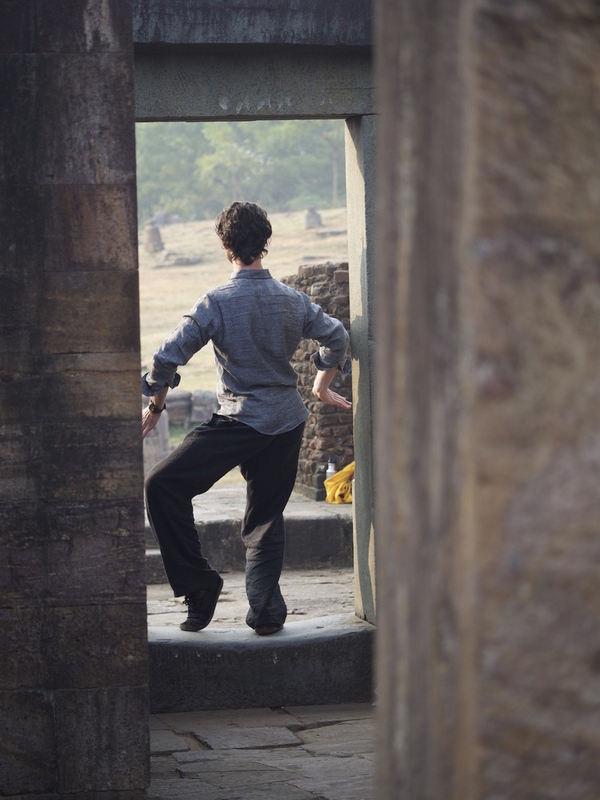 Odissi challenges her in every way, and demands that she becomes a better person. Through this dance form, Shauna experiences a unique calmness and quietness in her mind and her center, while her body is moving quickly and fluidly. She then practices taking this attitude with her into her daily life. Most profoundly, Odissi has taught Shauna to interact with the world openly from her heart. Romy discovered her love for dance as a young adult in 2000, following years of gymnastics, martial arts and yoga practices. Her first dance form was Afro-Brazilian, which opened her to new realms of creativity and freedom! Romy has been honored toperform alongside her respected teachers Marsea Marquis, Dandha DaHora and Stephanie Emmanuel Engel. She continues to explore different dance styles and remains open to the powerful lessons and wisdom that lie embedded in the riches of music and dance. Romy Narayan Joined SBE in 2016, and she is greatly enchanted and moved by the depth and intricacy of this art form. For Jennifer dancing Odissi is a magical experience! Learning Odissi has engaged her body, mind and spirit, like yoga, and develops her capacity for creativity, expression, and fluidity. She is inspired by the dance and Revital’s teaching and interpretation of Odissi. Jennifer’s passions outside of dance include traditional healing arts, world travel, writing, and empowering women. Shakti Bhakti Ensemble, "Ocean of Bliss"